We received the mentioned product from Cave Tools in exchange for an honest review. The thoughts contained within this post are ours and may vary from the thoughts of others. Grilling season is upon us and once again Cave Tools has provided us with a great grilling tool. In the past we have grilled with Cave Tools and loved every minute of it. Recently we got to give the BBQ Chicken Rack and let me tell you it was such a great process. Easy to set up and also easy to clean. The process from out of box to the grill was really smooth. Setting up this wing rack took literally seconds. The process that I used for my wings and legs might be a little different than others, but we had whole wings and leg quarters that I separated myself instead of buying that way. Obviously that took a few extra minutes, but at the end of the day this is the best way that we get more bang for our buck at the store. We coat our chicken in McCormick California Style Garlic Pepper which we buy in a bulk container on Amazon and it typically lasts us for a whole year. This spice was introduced to me by my husband who used it after being recommended by a friend before we were even dating. It is a perfect blend and adds a great flavor to grilled chicken. 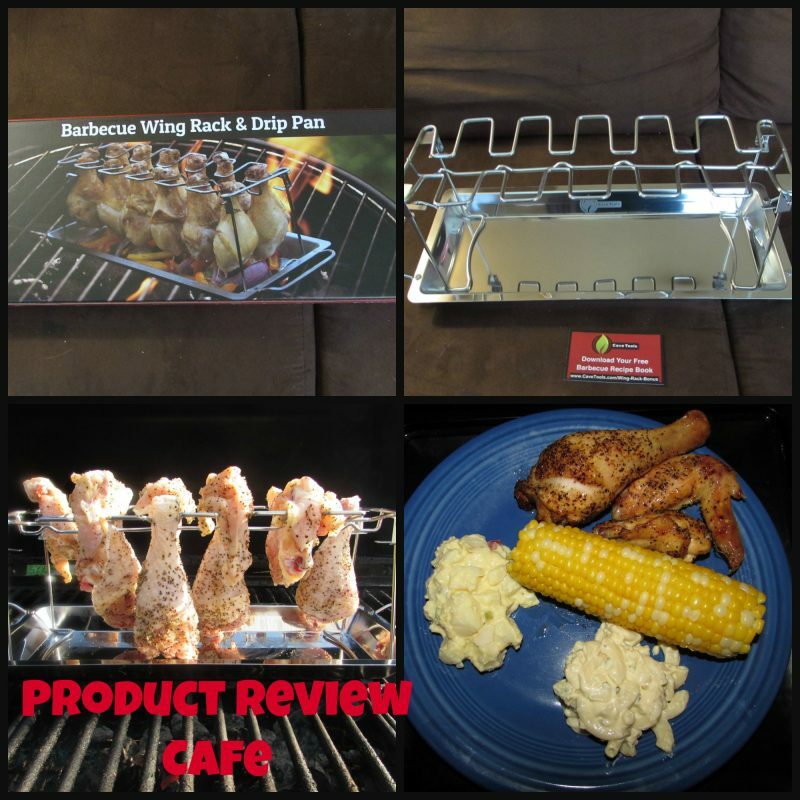 If you are looking to add to your grilling arsenal check out the Cave Tools Barbeque Wing Rack & Drip Pan on Amazon where you can get it for $19.99.. but there is more! Use code WING15 for an extra 15% off your order! Keep your eyes peeled for more great grilling posts coming up! We can’t wait! !